Harry Potter author JK Rowling has spoken out against the Israeli government’s treatment of Palestinians, but upheld her opposition to the cultural and academic boycott of the country because it would “silence” important voices. 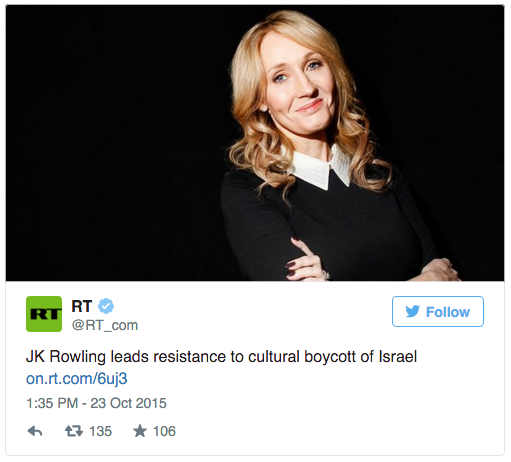 The author made the statements after fans used characters from her famous wizarding books to condone the Israeli boycott. “The Palestinian community has suffered untold injustice and brutality. I want to see the Israeli government held to account for that injustice and brutality,” she wrote. “What sits uncomfortably with me is that severing contacts with Israel’s cultural and academic community means refusing to engage with some of the Israelis who are most pro-Palestinian, and most critical of Israel’s government. “A cultural boycott places immovable barriers between artists and academics who want to talk to each other, understand each other and work side-by-side for peace,” she said. 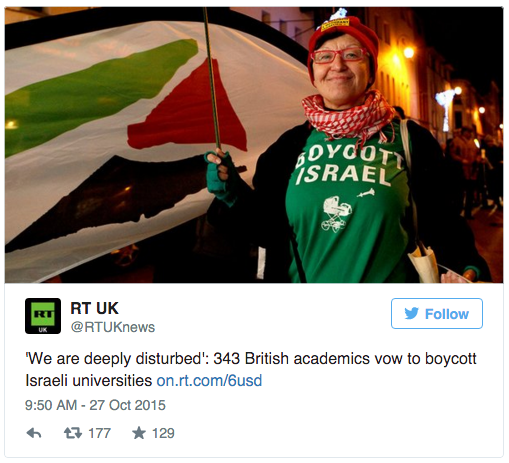 The cultural and academic boycott of Israel would see British institutions cut off their Israeli counterparts to highlight the maltreatment of Palestinians. The author added her name to a letter opposing an earlier call to boycott in February. The initial proposal attracted the backing of nearly 700 cultural figures. 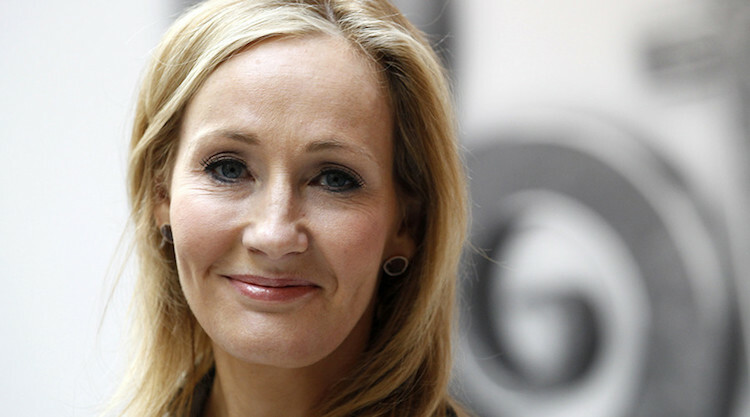 Rowling said fans had used the Harry Potter series to draw parallels with the Israel/Palestine conflict, but issued her own example using the character ‘Snape’. “The course of my fictional war was forever changed when Snape chose to abandon the course on which he was set,” she said.